This Guggenheim Enhanced Equity Strategy Fund invests mainly in stocks included in the S&P 500 Equal Weight Index and instruments designed to replicate the index. The fund’s managers are Jayson Flowers, Jamal Pesaran, and Farhan Sharaff. Its total net assets are $222 million. The annual expense ratio fee is 1.67%. Morningstar has ranked this core funds with 2 stars rating. The 1 year total return is 2015%. It has a 3 year annualized return of 12.70%. 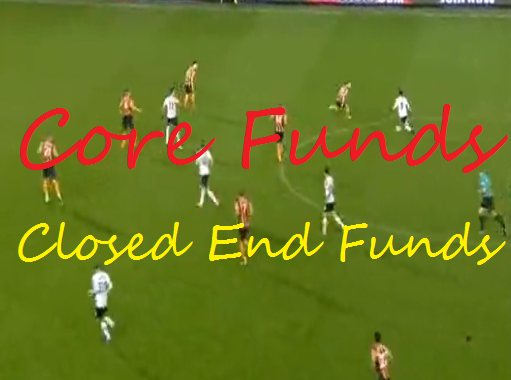 As of Nov 2014, this top performing core funds closed end fund has 501 holdings. The annual portfolio turnover rate is 154%. The top 5 stocks are Vertex Pharmaceuticals, Covidien, Integrys Energy Group, Inc., Williams Companies Inc, and Iron Mountain Inc. Top 3 sectors are consumer discretionary, financials and information technology. The Adams Express Company uses its assets to purchase US equity and convertible securities. It has total net assets of $1.4 billion. Its annual expense ratio is only 0.66%. This core funds has a high yield of 8.54%. Morningstar analysts have ranked this top core fund with 3 stars and neutral rating. In 2014, the YTD return is 10.43%. It has returned 22.23% over the past 3 year, and 14.16% over the past 5 year. Top 3 stocks are Apple Inc, Petroleum & Resource Corporation, and Gilead Sciences Inc.
Ranked with 4 stars rating, Denali Fund objective is to produce both income and long-term capital appreciation through investing in both equities and fixed income securities. This large blend fund is managed by Brendon Fischer and Stewart R. Horejsi. It has a yield of 0.39%. In 2014, the YTD return is 17.49%.